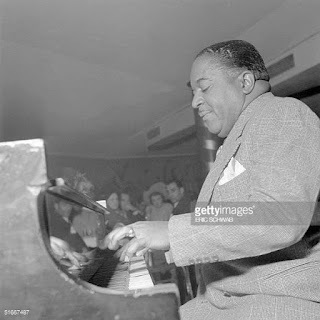 Pete Johnson (March 25, 1904 – March 23, 1967) was one of the three great boogie-woogie pianists (along with Albert Ammons and Meade Lux Lewis) whose sudden prominence in the late '30s helped make the style very popular. Johnson was born in Kansas City, Missouri. He was raised by his mother after his father deserted the family. Things got so bad financially; Pete was placed in an orphanage when he was three. He became so homesick, however, that he ran away and returned living at home. By the age of 12, he sought out work to ease some of the financial burden at home. He worked various jobs; in a factory, a print shop, and as a shoe-shiner. He dropped out of school in the fifth grade as a result of his efforts. Johnson began his musical career in 1922 as a drummer in Kansas City. He began piano about the same time he was learning the drums. His early piano practices took place in a church, where he was working as a water boy for a construction company. 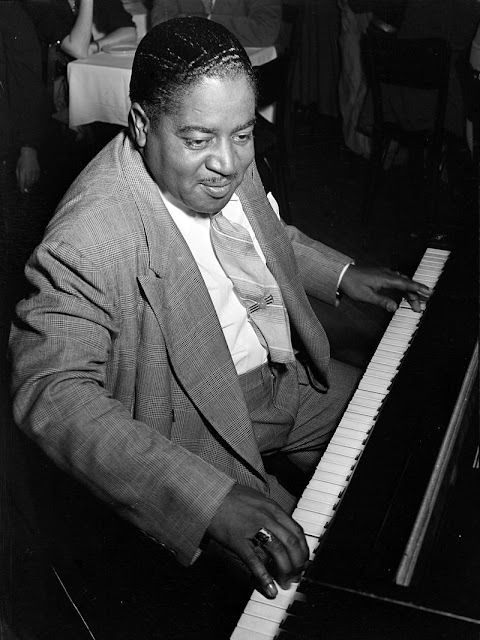 From 1926 to 1938 he worked as a pianist, often working with Big Joe Turner. An encounter with record producer John Hammond in 1936 led to an engagement at the Famous Door in New York City. 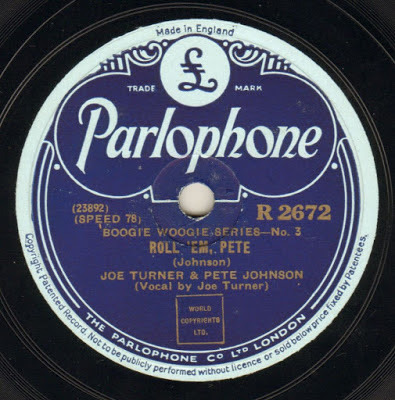 In 1938 Johnson and Turner appeared in the From Spirituals to Swing concert at Carnegie Hall. After this show the popularity of the boogie-woogie style was on the upswing. Johnson worked locally and toured and recorded with Turner, Meade Lux Lewis, and Albert Ammons during this period. Lewis, Ammons, and Johnson appeared in the film short Boogie-Woogie Dream in 1941. The song "Roll 'Em Pete" (composed by Johnson and Turner), featuring Turner on vocals and Johnson on piano, was one of the first rock and roll records. 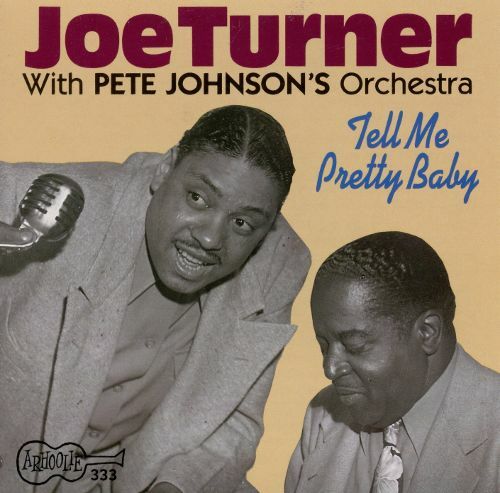 Another self-referential title was their "Johnson and Turner Blues." In 1949, he also wrote and recorded "Rocket 88 Boogie," a two-sided instrumental, which influenced the 1951 Ike Turner hit, "Rocket 88". On three dates in January 1946, Johnson recorded an early concept album, House Rent Party, in which he starts out playing alone, supposedly in a new empty house, and is joined there by J. C. Higginbotham, J. C. Heard, and other Kansas City players. Each has a solo single backed by Johnson, and then the whole group plays a jam session together. 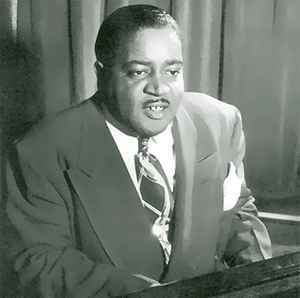 On this album Johnson shows his considerable command of stride piano and his ability to work with a group. In 1950 he moved to Buffalo. He encountered some health and financial problems in this period, including losing part of a finger in an accident and being partially paralyzed by a stroke. Between January and October 1953 he was employed by an ice cream company washing trucks, but supplemented his income by performing in a trio which played at the Bamboo Room in Buffalo on weekends. Johnson experienced more of the same the following year, 1954. He washed cars at a mortuary for $25 a week. In July, however, a nice job came his way at the St. Louis Forest Park Hotel, a six-week engagement as resident pianist at the Circus Snack Bar. Some broadcasts were made on Saturday afternoons in a program called Saturday at the Chase. Things remained somewhat bleak for the next four years, except for three appearances in 1955 at the Berkshire Music Barn in Lenox, MA. But he continued to record, and toured Europe in 1958 with the Jazz at the Philharmonic ensemble, despite the fact that he was not feeling well. While in Europe he received an invitation to appear at the Newport Jazz Festival, which he did upon his return to the States, accompanying Big Joe Turner, Chuck Berry and Big Maybelle. Johnson underwent a physical examination in August which revealed a heart condition as well as diabetes. Several strokes followed, resulting in complete loss of mobility in both hands. Four years after the series of strokes he was still disabled and was beginning to lose his eyesight. Jazz Report magazine ran a series of record auctions to raise money for Johnson. In 1964, a long-time correspondent of his, Hans Maurer, published The Pete Johnson Story. All sales proceeds went to Johnson. 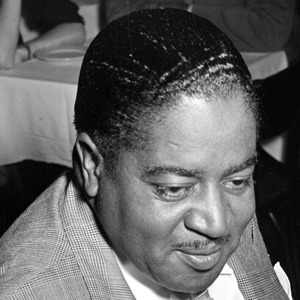 After an article appeared in a 1964 issue of Blues Unlimited detailing Johnson's difficulty in receiving royalty payments other than from Blue Note and Victor, in June, Johnson was accepted as a member of ASCAP, which finally ensured that some of the royalties would be received on a regular basis. 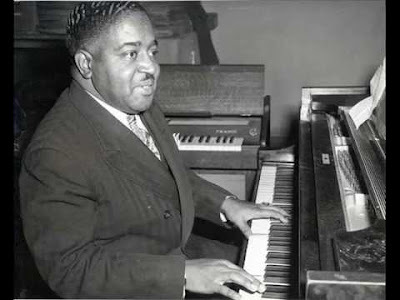 Johnson made one final appearance at Hammond's January 1967 "Spirituals to Swing" concert, playing the right hand on a version of "Roll 'Em Pete", two months before his death. A few years ago there were lots of Pete Johnson downloads available, but now I can only find one at egroj's world blog. Just my luck. After a few bevvies on a Sunday dinner time, I arrive home to find my Open Drive mp3 players are not working. It seems I have only so much available to stream per day as a non payer, So the more music lovers hit the play button the less my mp3 bank gets. Still that's why I try to find a video, just in case the demand of my mp3's gets too much. Sorry but I'm in the same boat as you too!